The Cook-a-Palooza Experience: Southwestern Pumpkin Soup with Cheddar Cheese: Easy-Peasy No Matter How You Make It!!! 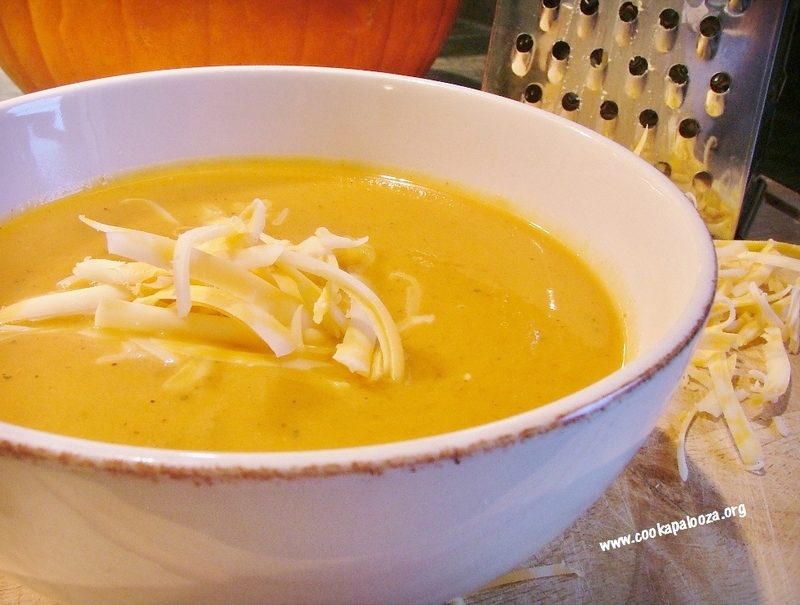 Southwestern Pumpkin Soup with Cheddar Cheese: Easy-Peasy No Matter How You Make It!!! In last Sunday’s newsletter, I did a cooking experiment to see if significantly reducing the number of ingredients used in a meatloaf recipe would noticeably affect the overall taste. My little success made me want to try it again! 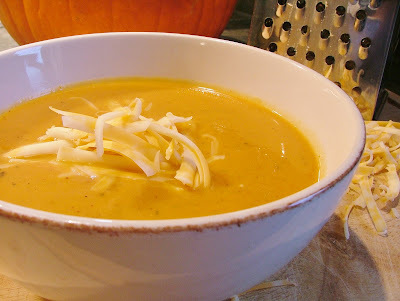 This time I used a Southwestern Pumpkin Soup recipe from the Watermark Restaurant in Cleveland. This soup is quick and easy as it is, but I wanted to see if I could trim down the ingredients to make it even easier without losing flavor. To test this, I made two batches of this soup. In the first batch I used the four spices in the original recipe. 1 tsp cumin, 1/2 tsp chili powder, 1/2 tsp dried coriander and 1/8 tsp nutmeg. 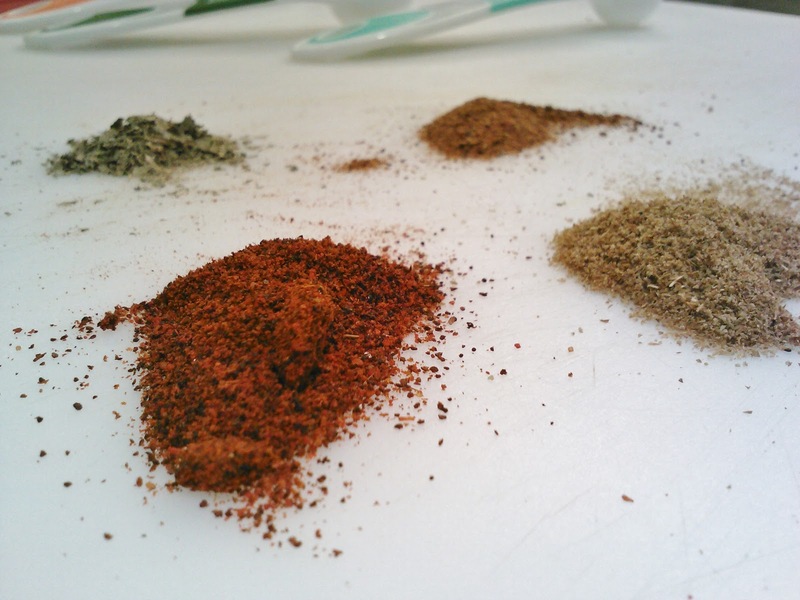 In the second batch, I replaced all four spices with 2 tsp reduced-sodium taco seasoning. I was surprised I preferred the version with the taco seasoning! Maybe I'm just biased but I thought it made the soup "pop" more with southwest flavor! Even if you don't cut back on the number of ingredients it's one of the easiest fall soups to make. And it tastes great whether you use the four spices or the taco seasoning! Canned pure pumpkin makes this creamy soup extremely easy to prepare! In a large pot, bring chicken broth to a boil. Whisk in canned pumpkin, brown sugar and taco seasoning. Reduce heat to low and simmer to let flavors blend, about 15 minutes. Remove soup from heat and let slightly cool before whisking in sour cream. Ladle soup into bowls and top each with equal amounts of cheese.